Ministry of Sound World Tour Percussionist Jay on Drums. For over 20 years Jay on Drums has been playing percussion all over London, Kent, the UK, across Europe and worldwide. He has been at the forefront of the underground dance scene and has worked with the world’s best DJs. 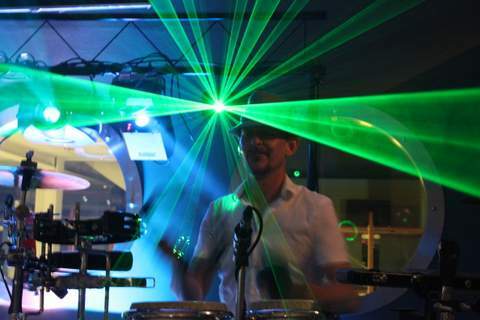 He has been playing percussion for over 15 years all over London, the UK and across the world. Jay is a Party enhancing Percussionist – a Bongo, Conga, Djembe, Cowbells, Blocks, Tambourines, Chimes and Cymbals player. He performs at Bars, Clubs, Private Parties, Events and Corporate Events. Jay has a professional and dynamic style, coming from the extensive experience achieved over such a long and successful career as a club percussionist. He is able to deliver highest quality & unique performances every single time! 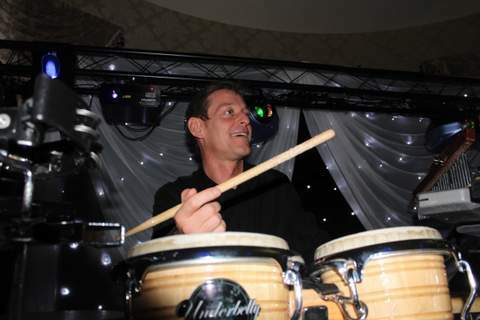 A Professional Events Percussionist, specialising in entertaining the audience. Jay on Drums plays at Party’s and Events all over the world. Alongside DJs to all variations of Dance Music (Commercial, House, Motown, Disco, 60’s-90’s, Club Classics & Old Skool, Ibiza Club & Chillout, Techno, Dub-Step, Drum & Bass etc. ), acoustically or with other musicians. Jay creates positive vibrations to suit the ambience you require. He will make sure your friends, family, colleagues and Guests have the best time. A variety of styles can be achieved. Jay uses both hands and a variety of drum sticks and beaters whilst performing depending on the music being played, the time of night and the occasion. You could experience the tribal sound of African Beats, Afro-Cuban Grooves or Up-Beat Latin vibes. He is able to fully amplify his performance by connecting to any PA system. Your guests will not be disappointed. Jay’s attitude is professional, reliable and enjoyment is guaranteed. He is able to adapt to any environment, works closely with venues and other musicians and takes all events seriously. This enables him to deliver a high quality performance and to create the right ambience. Jay on Drums can fully amplify his performance by connecting to any PA system. Jay on Drums loves performing and takes his work very seriously with the sole intention of delivering the best performance possible every time!